Pourpose of the event, organized by "PIEMONTE Agency for Investments, Export and Tourism", was to bring together supply and demand. 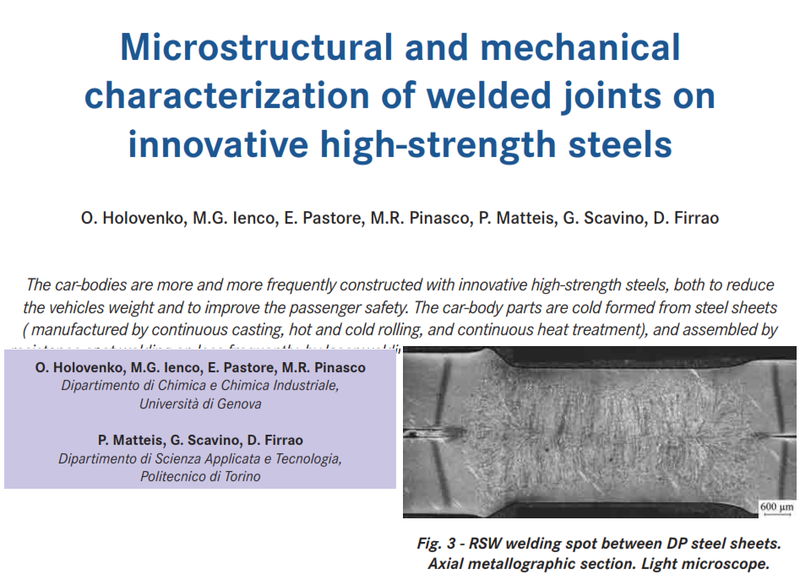 In our case, a car-maker Company, interested on twip welding, met our solution. The prototype will be more exhaustive than the words that, however, had already attracted high interest. 15th june 2016 WHAT IS TWIP STEEL? TWIP steel (TWnning Induced Plasticity) is a new kind of metal, austenitic suitable to be used in car body applications, especially in the parts were both strength and ductility are required. In this article an interesting overview. 20th July 2016 HOW IS TWIP STEEL WELDED? 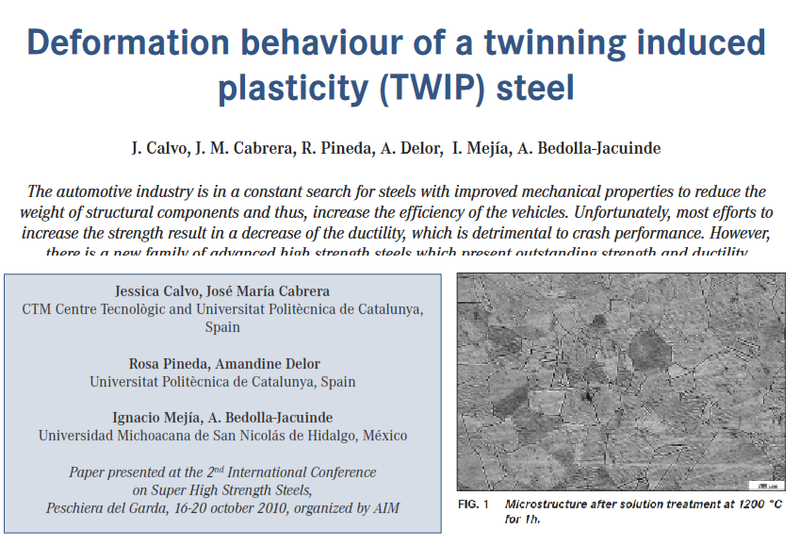 TWIP steel mechanical characteristics are susceptible to be compromised whether such metal is subject to high temperatures. MIG/TIG technologies, furthermore, alterate the structure because of the filling material. In this article an interesting overview. In this article an interesting overview. 1th September 2016 WHAT ABOUT TWIP STEEL FOR AUTOMOTIVE APPLICATIONS? The big issues that the automotive industry confronts are those concerned with environment and safety. The lightweighting of the autobody plays one of the key roles for the development of environment-friendly vehicles reduction. 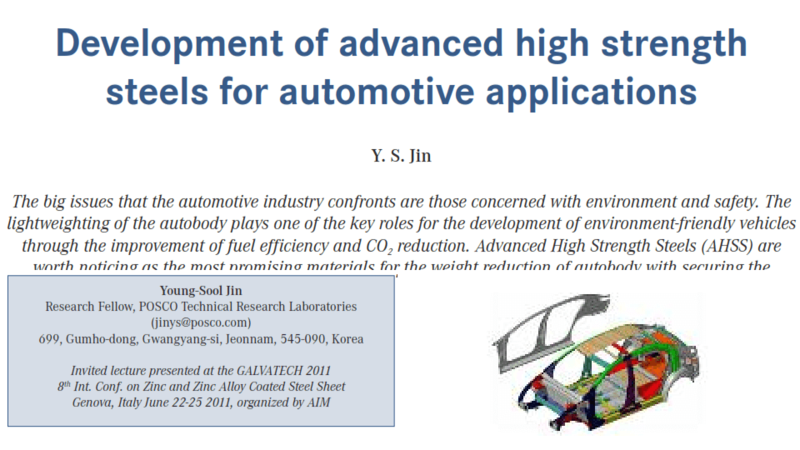 Advanced High Strength Steels (AHSS) are worth noticing as the most promising materials for the weight reduction of autobody with securing the through the improvement of fuel efficiency and CO 2 crashworthiness and cost competitiveness still more. In this article an interesting overview.